Did you know that more than one out of two people want to lose weight? 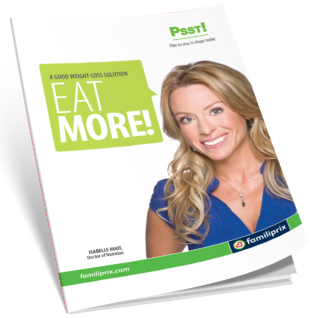 Many have tried all kinds of tricks to achieve their healthy weight, but it’s easy to be led astray by “effortless” diets that promise immediate results. Most of these will only leave you disappointed in the long run. Another challenge is today’s fast- paced lifestyles, which leave little time to prepare healthy, nutritious meals. No wonder so many people regularly fall prey to fast food. How can we stay at our healthy weight in a world where overindulgence is the order of the day? Want to know how to lose one pound per week? Listen to your body. Are you really hungry? An apple before your meal—why not?